In Smith Wigglesworth on Faith you will join him as he explores many aspects of faith, including: where faith comes from; how to receive God's healing touch; what kind of faith pleases God; how to acquire holy boldness; what strengthens faith; how to believe God for the impossible; and what God promises through faith. Here is inspiration for anyone who is searching for evidence of God's presence on earth today. Through faith, God's many blessings will become yours! Smith Wigglesworth on Faith by Smith Wigglesworth was published by Whitaker House in April 1999 and is our 19222nd best seller. 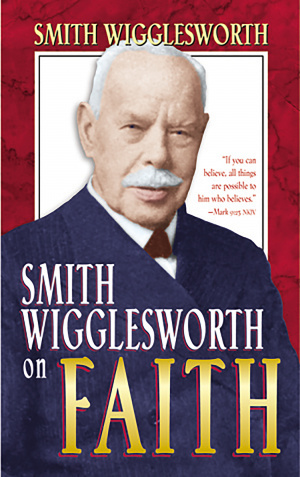 The ISBN for Smith Wigglesworth on Faith is 9780883685310. Be the first to review Smith Wigglesworth on Faith! Got a question? No problem! Just click here to ask us about Smith Wigglesworth on Faith.